The biggest party of the year is on again! 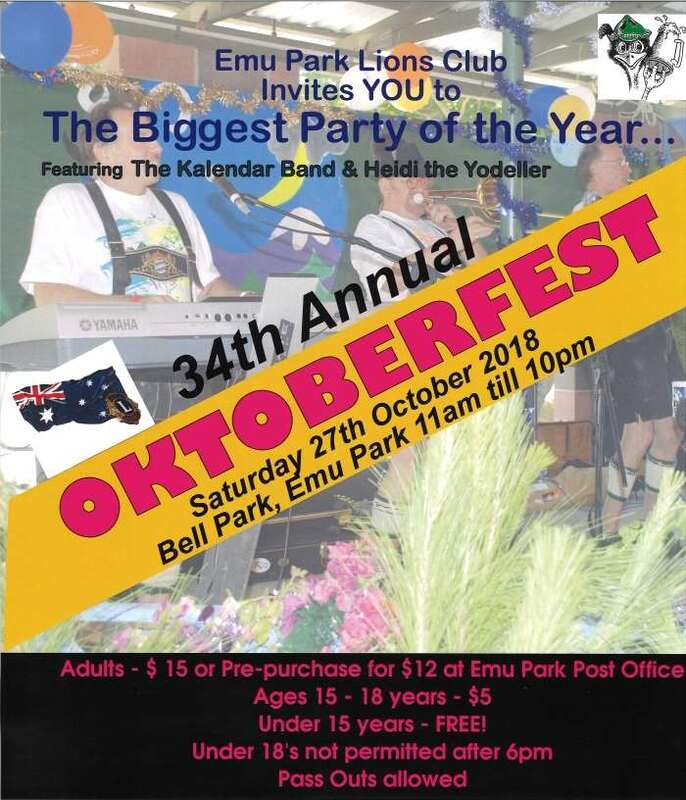 Emu Park Lions Club, local businesses including Young’s Bus Services and community organisations have once again put together an Oktoberfest event which is not to be missed. Traditionally Oktoberfest is the world’s largest beer festival held annually in Munich, Bavaria and Germany that runs for almost 18 days with over 6 million people in participation. The event is an important part of Bavarian culture and has been since 1810. Things won’t be that extreme here in Emu Park but the event will still be an “must-not-miss extravaganza”. Bus services to Emu Park will be operating to the standard Route 20 Saturday timetable with a few late services available too. 3 services to Rockhampton (via Zilzie & Yeppoon) at 10.30pm. Swap the car for your dancing shoes and immerse yourself in Bavarian culture. We’ll get you home safely so you can enjoy the traditional Bavarian folk dancing, cowbells, yodelling and plenty of sing-along polka hits. Food at Oktoberfest will include traditional German potato pancakes German sausages, sauerkraut & potato salad German and other imported beers and so much more.